As Black Oaklanders, we have a lot at stake this election season. So it’s essential that we have a long, honest conversation with ourselves about what we want for Oakland and who can actually deliver it, because our fate is on the line. Despite all the change, Oakland is a community that at its core still does represent us — as Black people — in all our diversity and all our lived experiences, from the hills to the flats. Black identity has forged the soul of what is 21st century Oakland. This is why whether you and yours have been here for generations or you arrived last week, if you’re Black and in Oakland, you can’t help but feel the pull of wanting to preserve this aspect of the city’s essence. Though we came to Oakland at different times and for different reasons, we both chose Oakland because, as Black women, we wanted to be part of a community where we saw ourselves reflected and empowered, and not just demographically, but socially, spiritually, culturally and yes, politically. Which is in large part why we went to work for Mayor Libby Schaaf. We didn’t know her prior to her election. We didn’t work on her campaign. We’re not even sure we can remember where she ranked on our ballots in 2014, but she articulated a vision for her hometown that we shared — a vision we felt was good for Oakland, and Black Oakland in particular. Her vision included a diehard commitment to maintaining Oakland’s inclusivity and diversity, but probably even more important, she was committed to Oakland values of equity and justice. Values that grew out of the Black churches and the social movements that shaped and defined this city’s character and its politics — this is the city that Libby Schaaf grew up in. Equally important to us, Mayor Schaaf’s vision was grounded in doing what was right for Oakland’s long-term health and success which meant tackling the very practical, boring, and unpopular things that give a city resiliency. Things Mayor Schaaf has done like addressing unfunded liabilities and pensions, saving for a rainy day, not repeating mistakes of the past such as publicly funding private sports franchise facilities and creating a path — to and through college and careers — for Oakland’s largely Black and Brown youth with the Oakland Promise. So we set to work trying to help make that vision real. 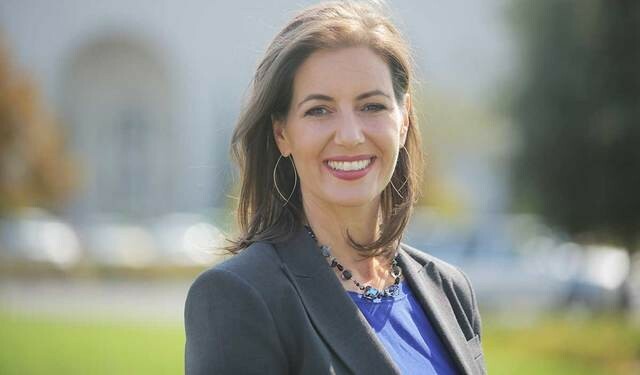 And right away we were met with side-eyes, skepticism and outright hostility from some Black people in our social and professional circles who couldn’t accept — whether she was born and raised here or not — that white, now well-to-do Libby Schaaf could do or say anything that would be good for Black people in Oakland. Much of the criticism we heard then, and we hear now, doesn’t actually have much to do with Libby Schaaf. But it does have everything to do with us as Black Oaklanders and our comfort in focusing our political might on powerful persuasive rhetoric and the theater of protest over substantive, fact-based discourse and the hard work of accountability and governance. We heard that she’s kicking all the Black people out, with no acknowledgment of the many Black homeowners who made the choice to take advantage of Oakland’s housing market boom and cash out, as if the demographic shift that was happening in Oakland could possibly have taken place solely on the new mayor’s watch. We were told that she’s not building affordable housing without any recognition of the fact that Gov. Jerry Brown’s administration ended statewide redevelopment, which previously funded almost all of California’s affordable housing projects. People admonished us that she’s beholden to the developers who contributed to her campaign, willfully ignoring that one of the first things she did as mayor was to go up against those supporters to put impact fees in place to grow the city’s own affordable housing fund. As individuals who played a critical role in the first half of Mayor Schaaf’s term in office, we’re not trying to discount the ways in which this administration has fallen short. Understanding and navigating bureaucracy and the intricacies of governance isn’t easy work. Did we always move fast enough? No. Did we prioritize things correctly? Maybe not. Did we misspeak and misstep? Absolutely. Could we have done better at making sure you were heard? Without a doubt. But much of what we see the other candidates in this year’s race touting they will do for Oakland are things that are either already underway, financially out of reach, or not at a mayor’s sole discretion to provide, and we don’t see the candidates being honest about these realities. We now know all too well the dangers of playing fast and loose with the facts when it comes to today’s political discourse. But instead of being truthful with you about what Mayor Schaaf has achieved and the aspects of their platforms that are wholesale lifted from the Schaaf agenda, her challengers are vague at best when it comes to outlining how they will achieve their borrowed objectives, and disingenuous at worst in acknowledging the progress Mayor Schaaf’s administration has made in areas that are vital to Oakland’s Black community. So when Cat Brooks tells you she’s going to build tiny homes for the unsheltered, please ask her how this differs from the three temporary Tuff Shed sites Mayor Schaaf has already stood up with the hundreds of thousands of dollars in privately raised funds she secured to do it. What resources and relationships will Ms. Brooks leverage to get something similar done? And when Pamela Price says her platform includes “new initiatives to support and encourage small businesses,” ask Ms. Price specifically how these will compare with the KIVA Loan Program Mayor Schaaf brought to Oakland which has provided more than $3 million in interest-free loans for small business owners, 71 percent of whom are women and 76 percent of recipients are Latino and African American. We say all of this not to gloss over the fact that there are people in Oakland’s Black community with real ideological differences with Mayor Schaaf’s agenda. For example, those individuals who believe, as Ms. Brooks once did, that we need to abolish or defund the police department entirely are clearly never going to be able to align with a mayor whose public safety agenda is predicated on maintaining certain levels of police staffing and who attributes that effort and the community-driven Ceasefire partnership and adoption of many of the Obama Administration’s 21st Century police reforms with Oakland’s 23 percent drop in violent crime over the last five years and 75 percent decrease in police use of force in five years. We acknowledge that while this is good progress, it’s still not enough because when it comes to lives being lost and abuses of power, nothing but perfect will ever be enough. But that doesn’t make it fair or intellectually honest to pretend that verifiable gains haven’t been made, or to ignore the facts to score political points or drive a self-serving narrative as we’ve seen challengers in this race do. So, all we’re asking for as you sit down to fill out your ballots and go to the polls is an assessment grounded in fact, not just perception or lore. Do your homework. Ask tough questions of all the candidates. Hold their feet to the fire the same way you would Mayor Schaaf’s. Do they have a track record? Check it. And for those of you who just feel a certain way about Libby Schaaf, we say, yes, feelings have a place in how we assess people, and they certainly should play a role in how we make our decisions, but we also owe it to ourselves to make sure our feelings aren’t misplaced. We should be able to name what’s behind our sentiments and be sure that we’re giving credit where it’s due, and if we’re placing blame, make sure it’s at all the right feet for all the right reasons. Erica Terry Derryck and Tomiquia Moss are former aides to Mayor Libby Schaaf.